Yesterday I, was lucky to be transported to the Silk Mill by Chuck Robinson. I say that because it is a bit of a day, driving six hours round trip and shooting for four of five hours...so Thanks again Chuck for driving!!! I have driven it the last two times myself, and I really appreciated the rest. It is interesting to go back again and again...seeing how others photographers have moved things around and propped scenes or shots. 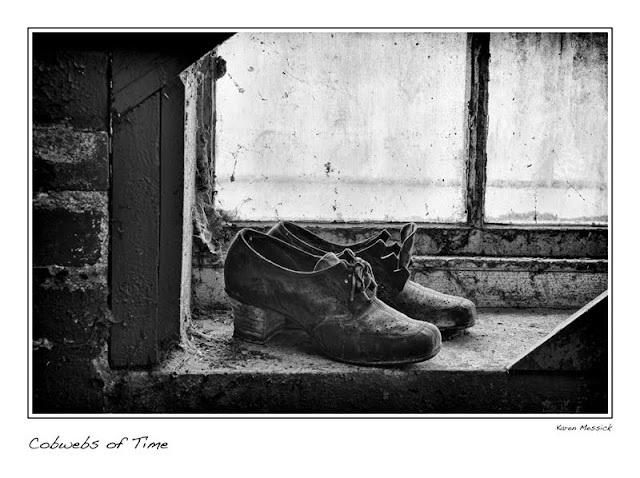 I placed these shoes on the window sill in the basement last time I was there and never shot them then so I decided I should at least make the image this time around. I don't know what it is but the shoes there are interesting, maybe because they speak to the period in time all layered with dust. I didn't really have a specific goal this time and was much more random with my work. 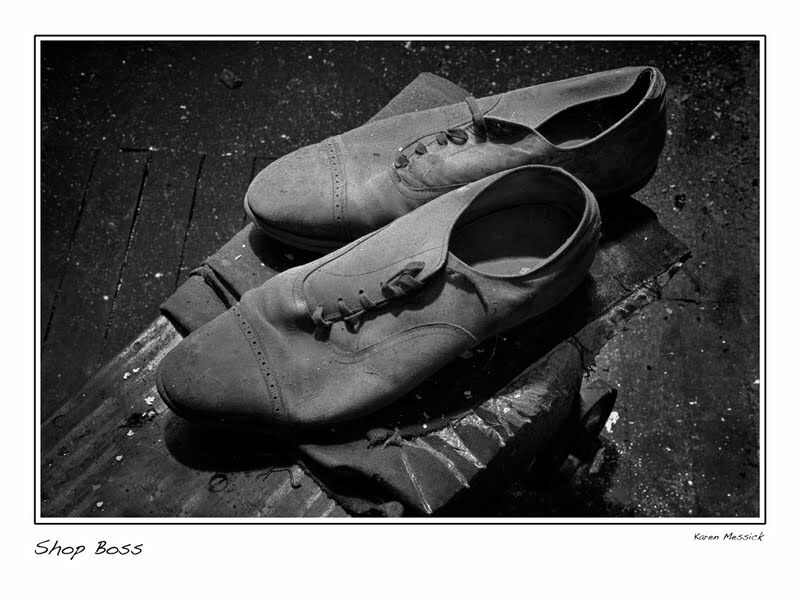 These same shoes have been photographed before by many folks and in fact they were resting exactly where they were the last time I was there, but I wanted them closer to the floor so I placed them on a little mechanics cart near the diffused window light. This one speaks for itself, the light in the elevator shaft is the brightest in the whole building, but diffused by the still in tact glass overhead. The barrels where there last time I was there but the broom was not. I liked the large bell for the elevator, the texture of the wire, floorboards and bricks. 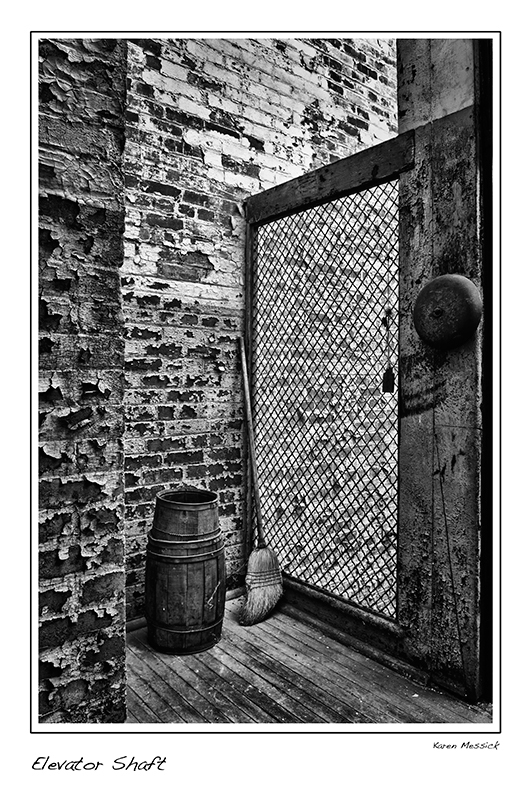 I added the broom which Herb the owner uses to keep the peeling paint that falls to the floor in check. 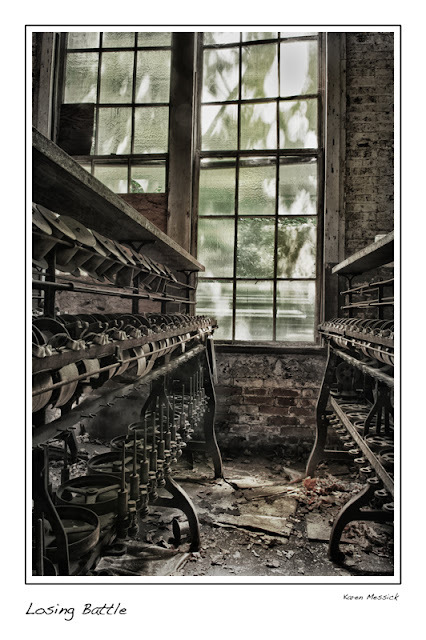 In the mill, where the machines are close to outside windows that have broken, leaves have begun to accumulate. 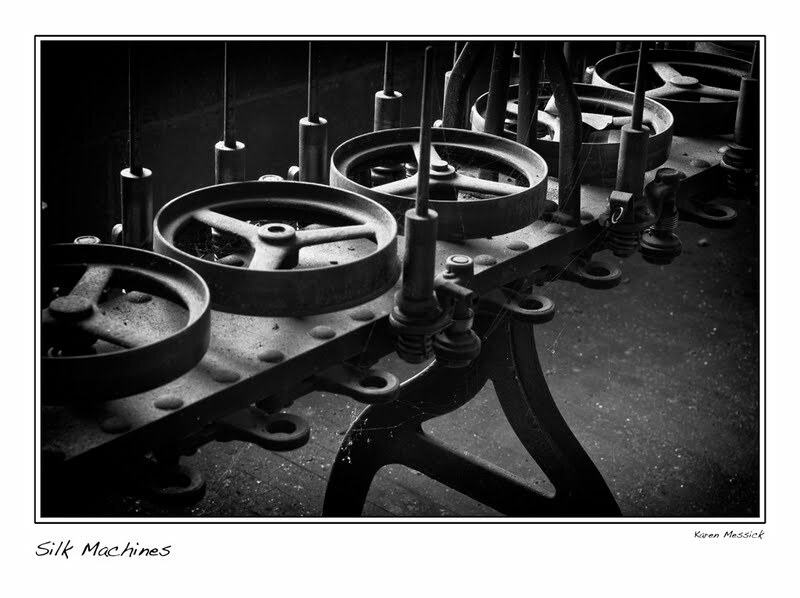 The winds of time are blowing, falling leaves, falling industry in a falling building. It appeared to me to be a haunting predictor of the future and a window to the past at the same time. 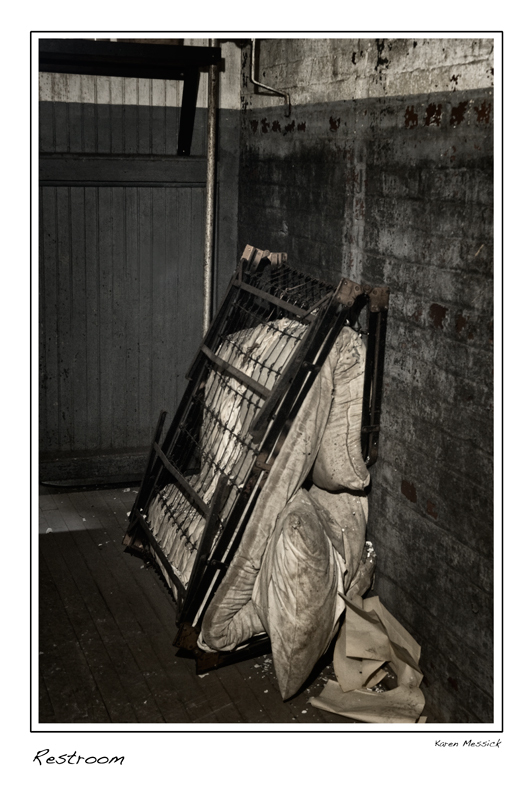 I envisioned many a woman whom, over time who might have had a need for a short rest from the busy factory work in this very room on this fold up bed, still in place. In the basement, the "man cave" of the mill where cogs and belts and oil and all things that kept the gears of the machines working can be found, I enjoyed looking at the book I found on power transmission equipment and thought about the man or men who might have made reference to it for repairs or parts. 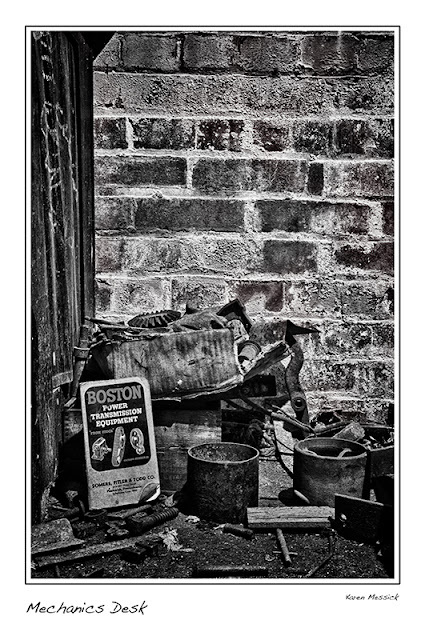 The phone number on the book for the Boston Power transmission Equipment company was.....Court 4860. Now that was a while ago! 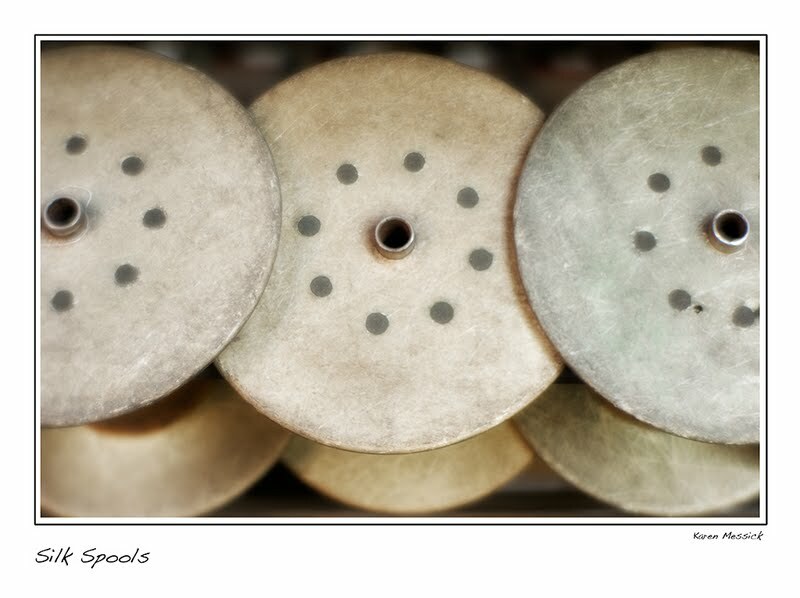 as the day was winding down I put on my Lensbaby composer and made this shot of some spools.